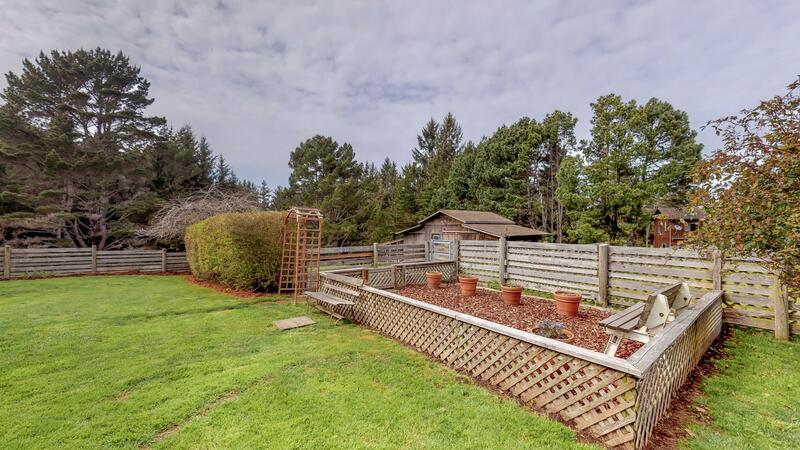 Perfect mini-farm! 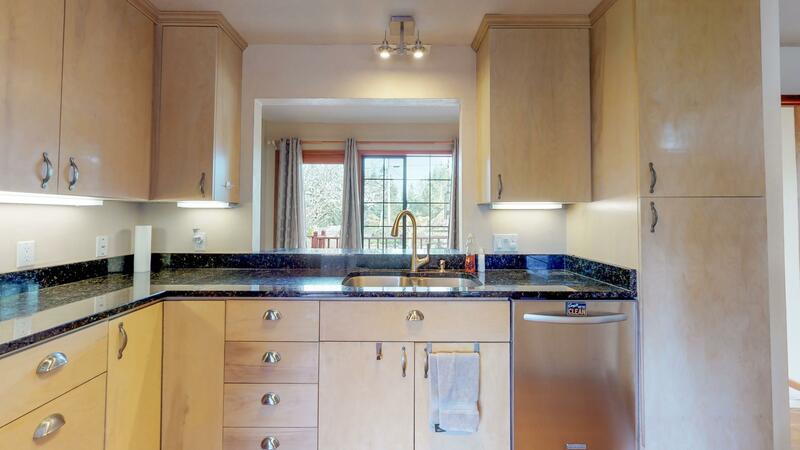 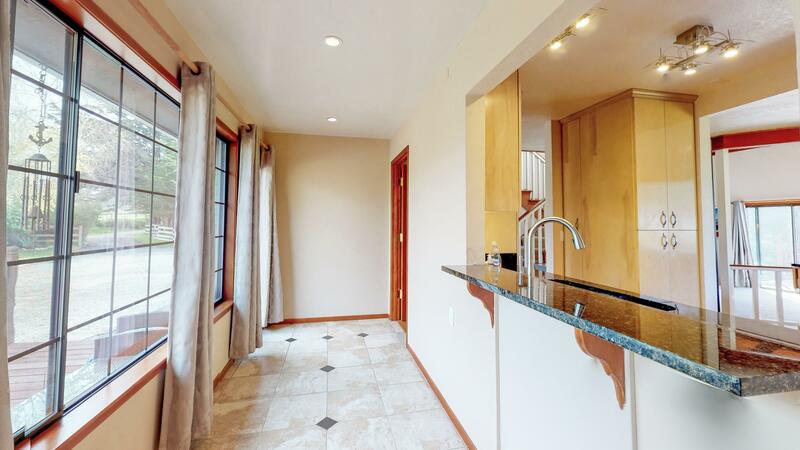 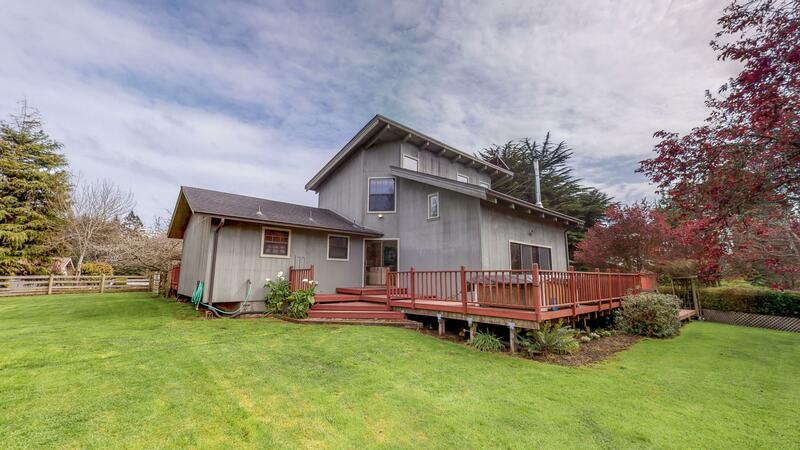 This custom home rests atop 2 acres, with nice grassy green lawn space, mature landscaping, a 720 sq. 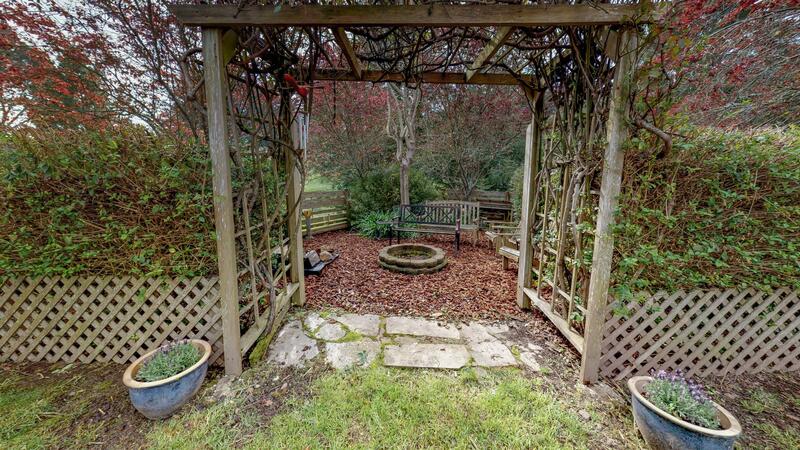 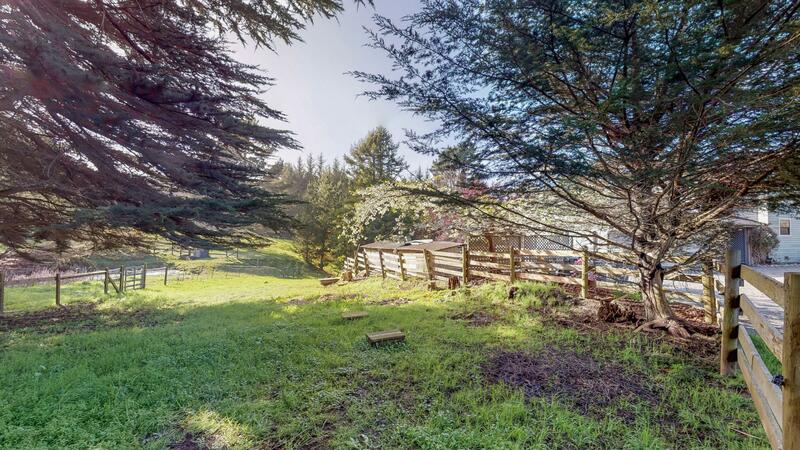 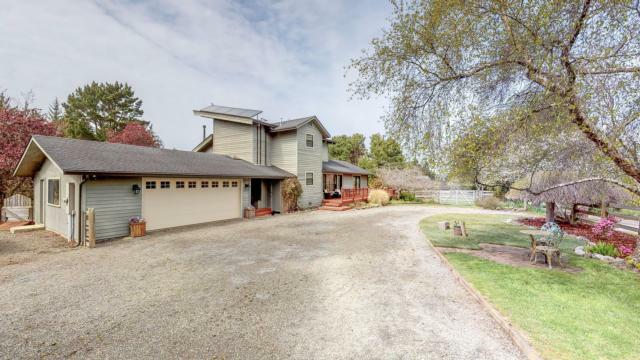 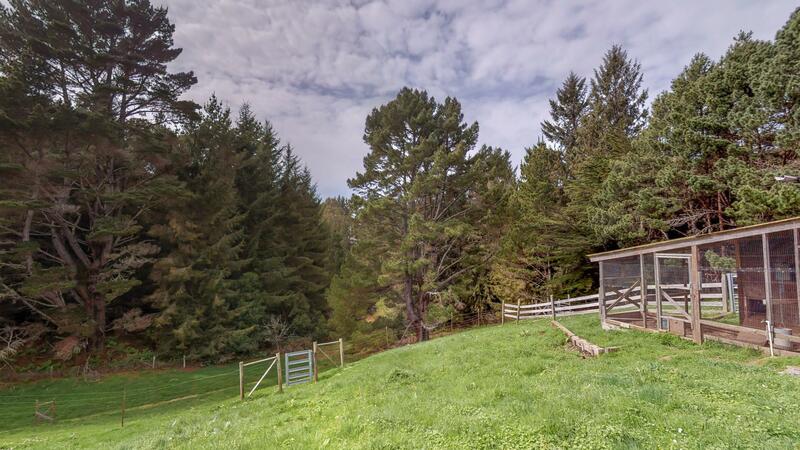 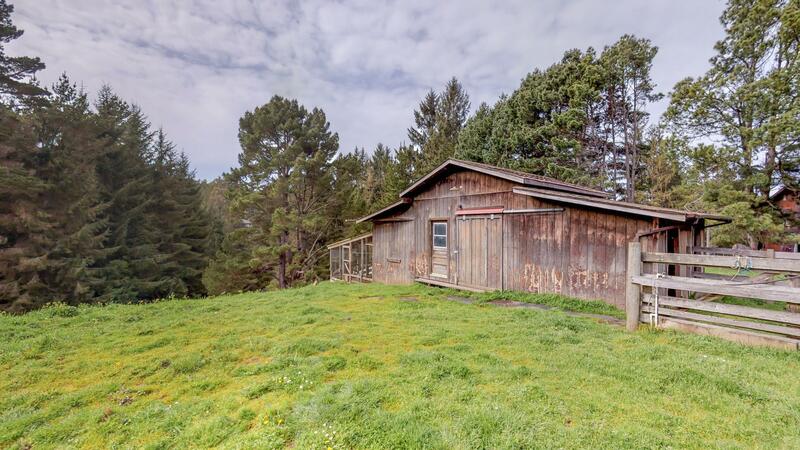 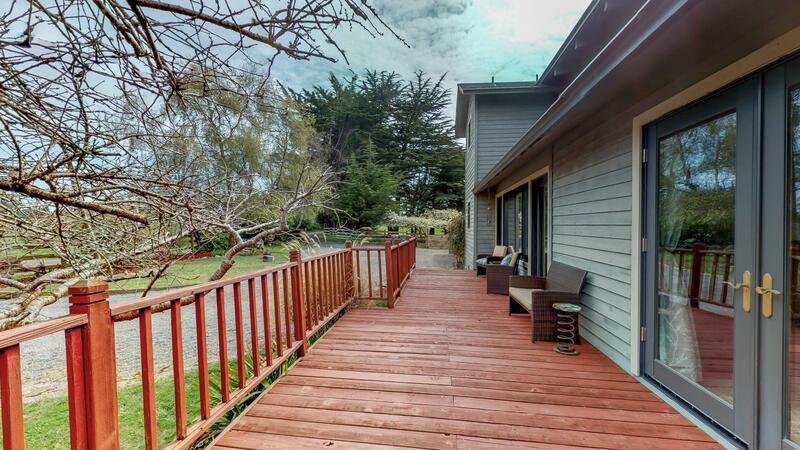 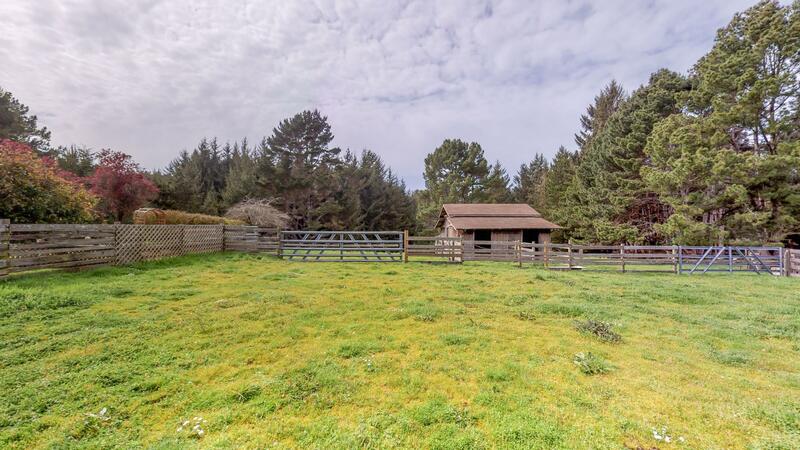 ft. barn, fenced garden space, decking with hot tub, and a sweet arbor with sitting area! 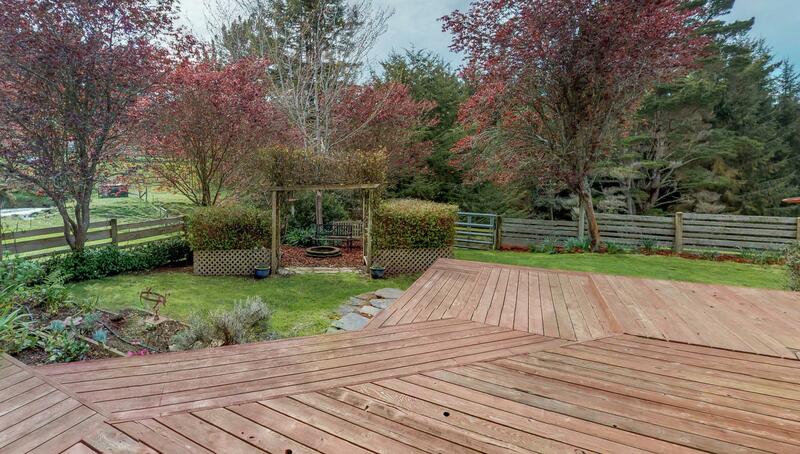 Its spring time and everything is in bloom! 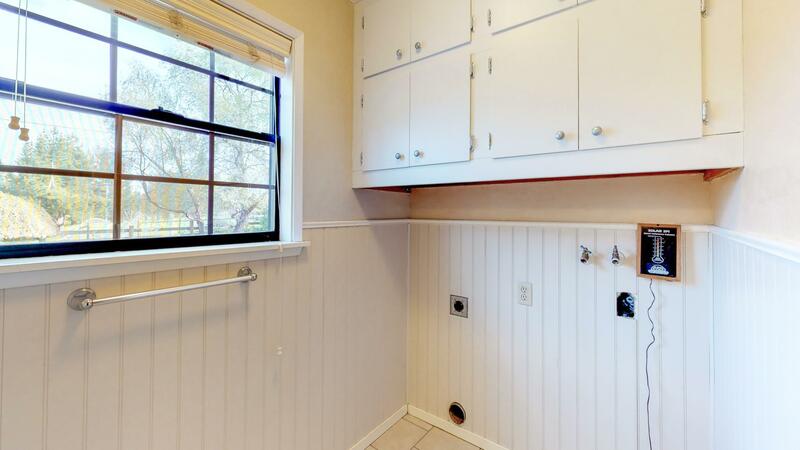 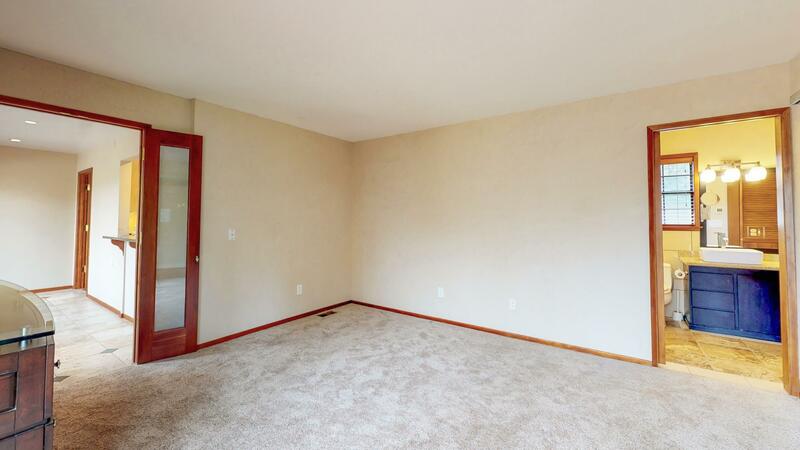 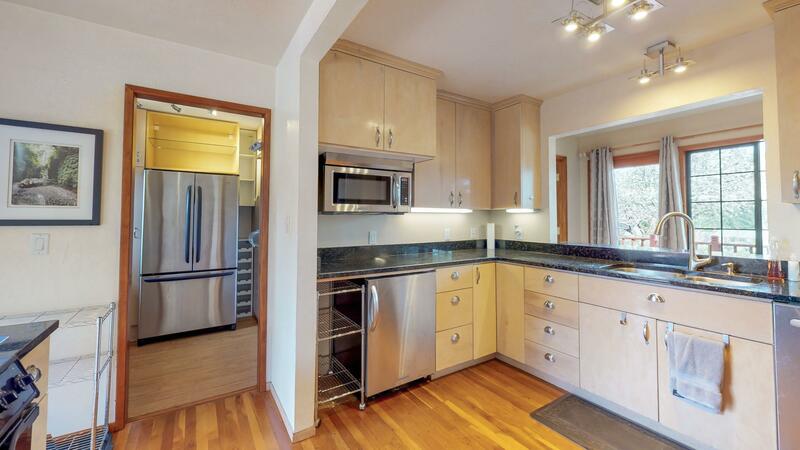 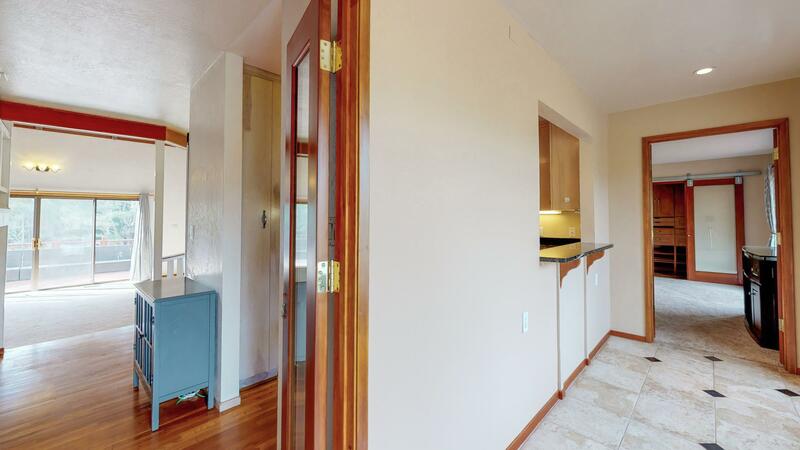 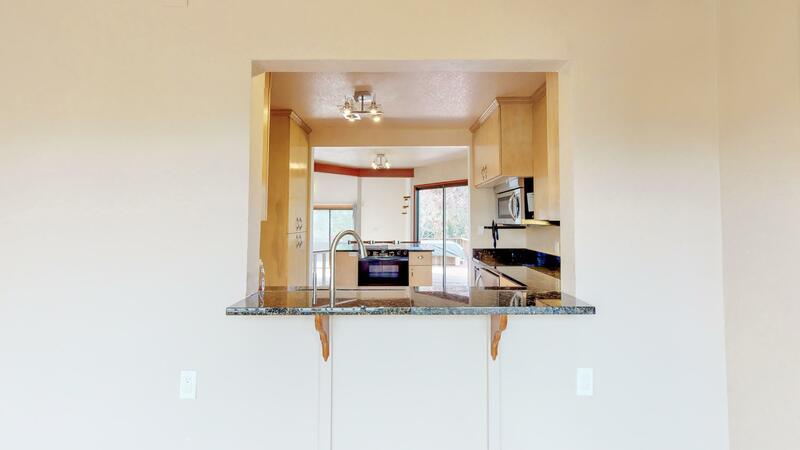 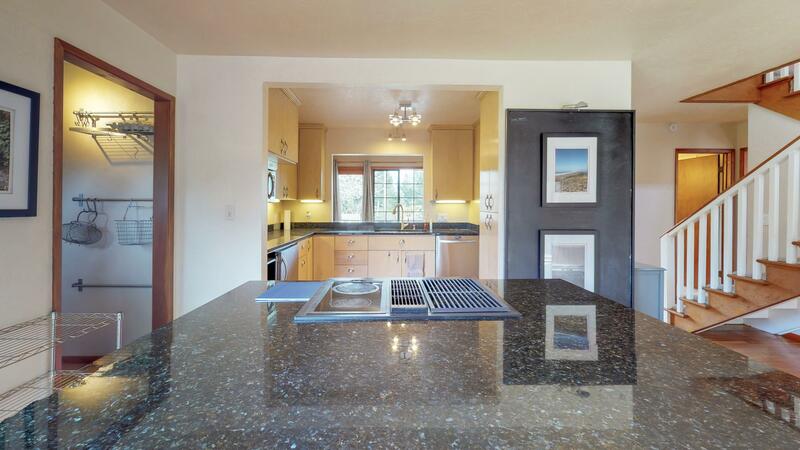 Inside, a nicely updated kitchen with granite counter tops, and pantry that is open to the sunken living room below! 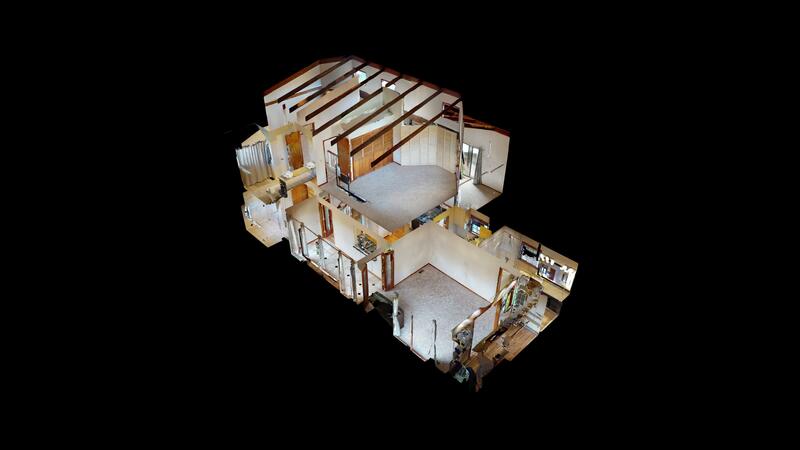 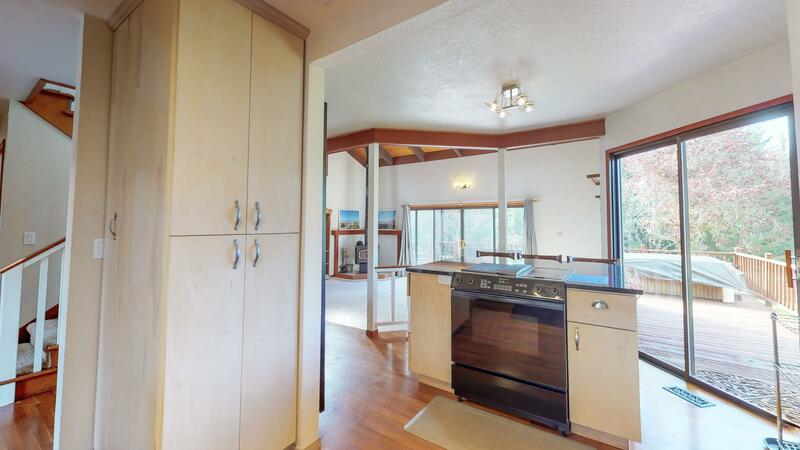 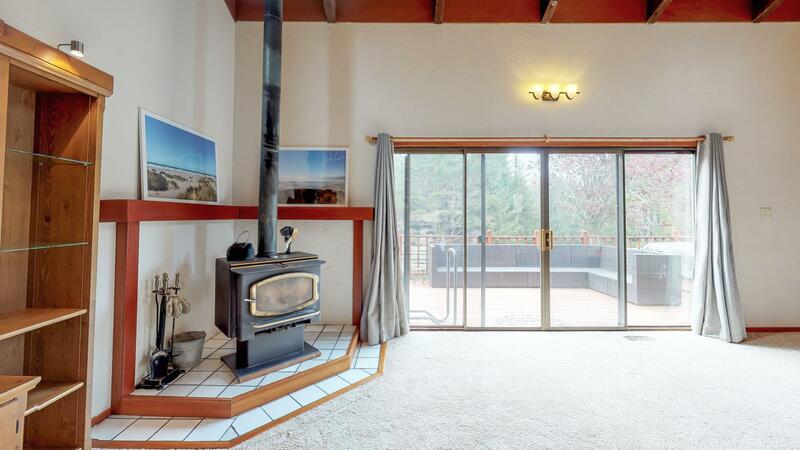 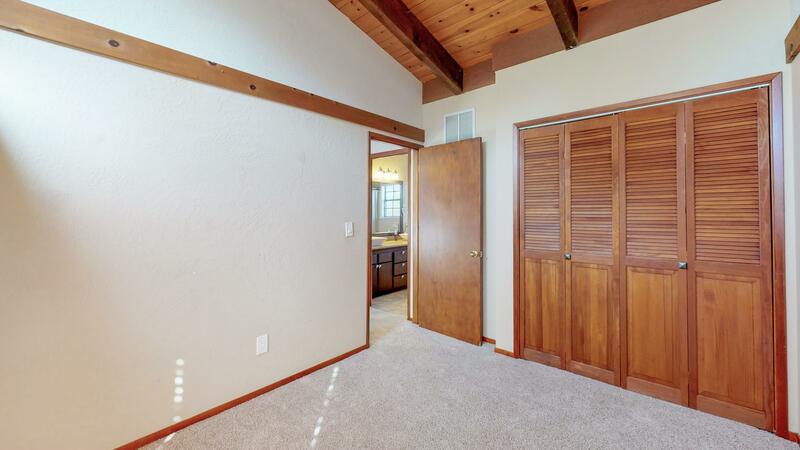 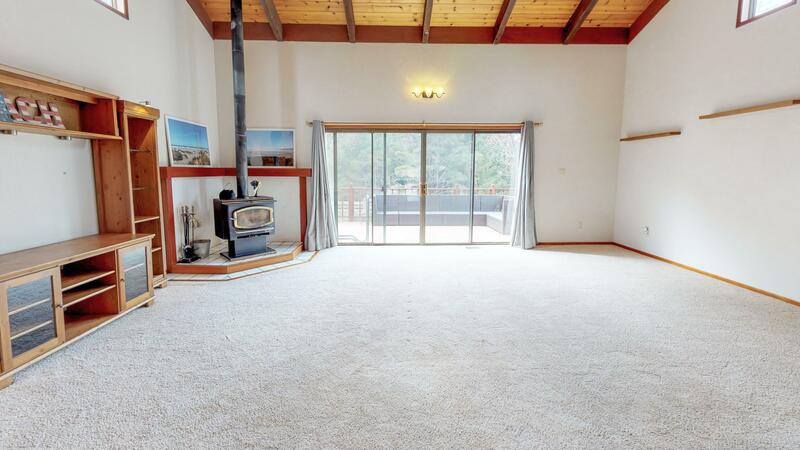 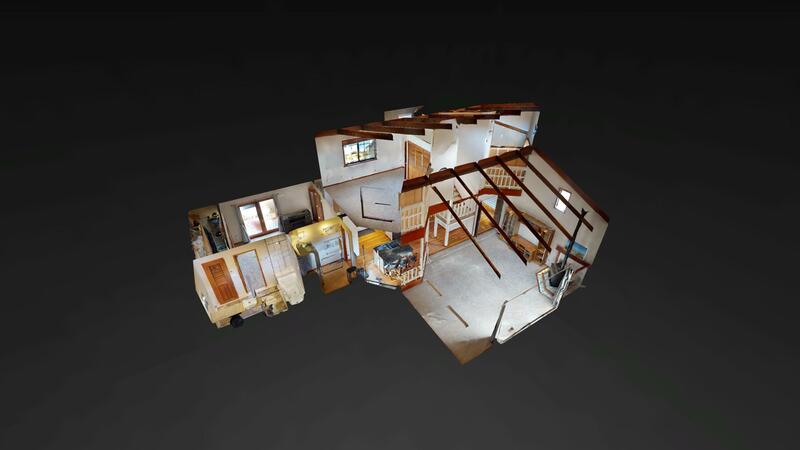 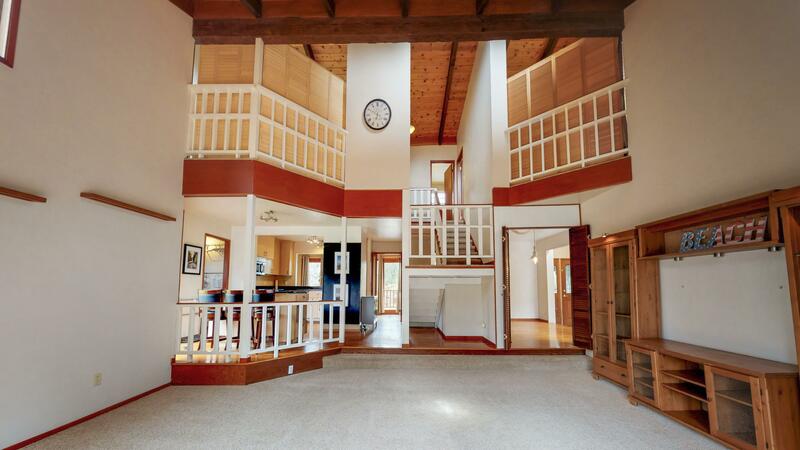 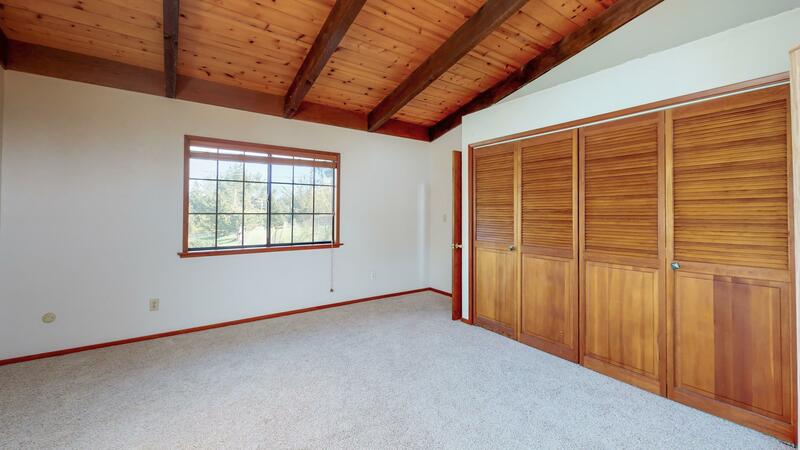 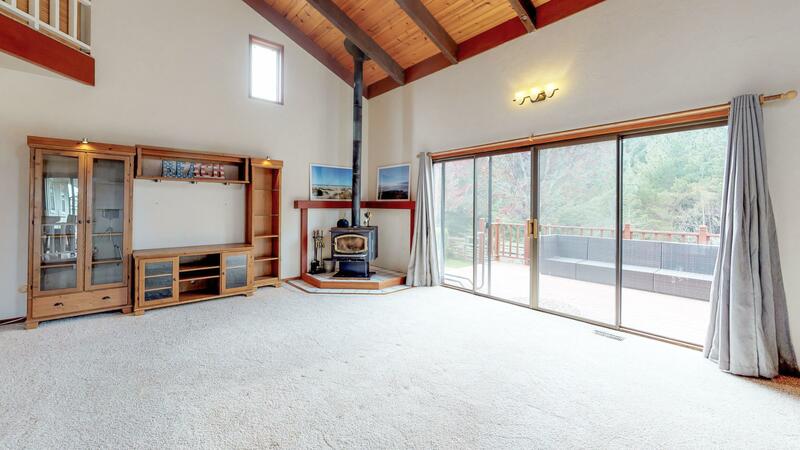 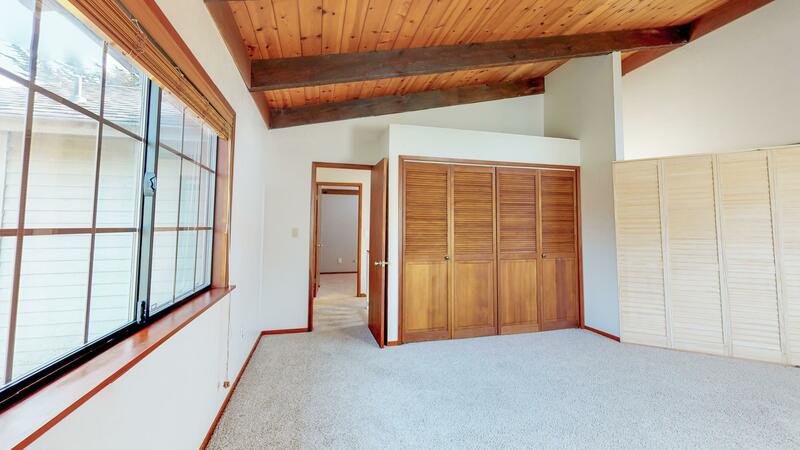 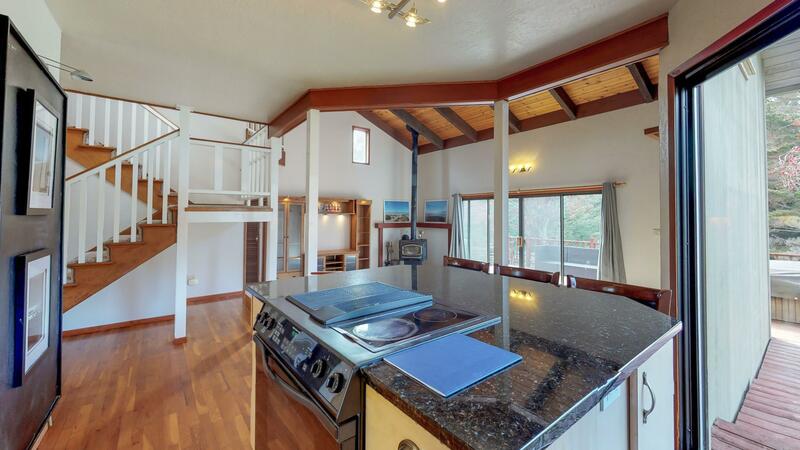 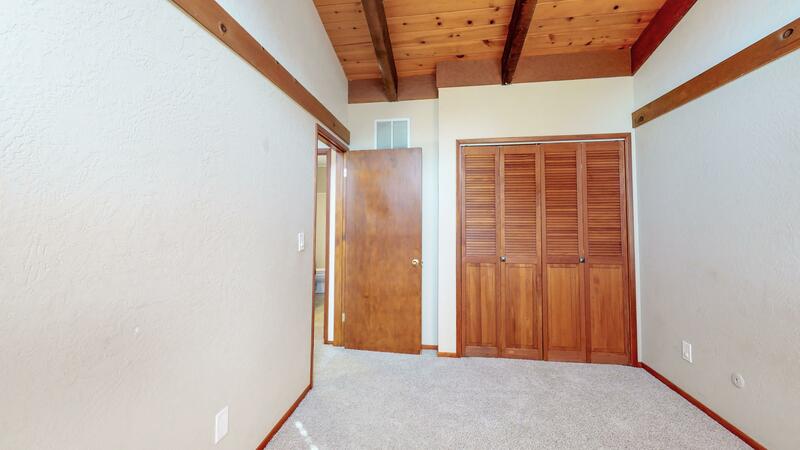 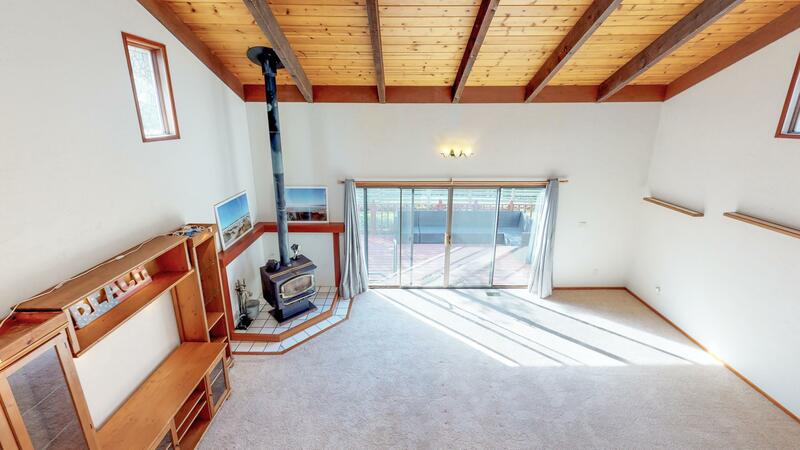 Vaulted open beam ceilings and wood stove! 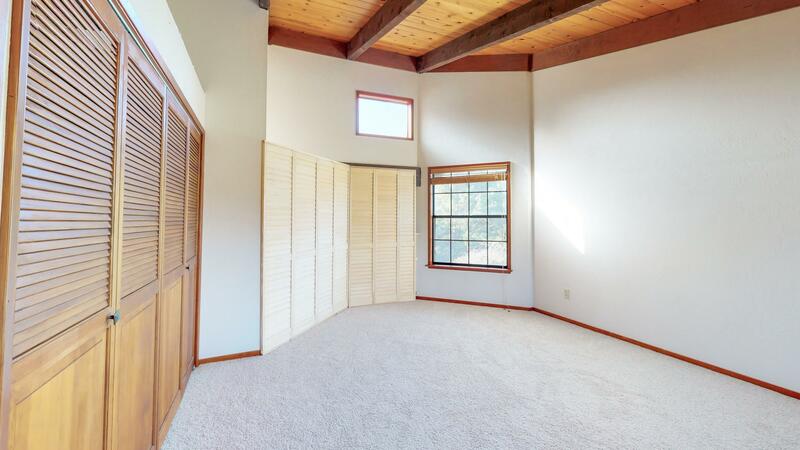 Loft style bedrooms upstairs, with large Master Suite downstairs. 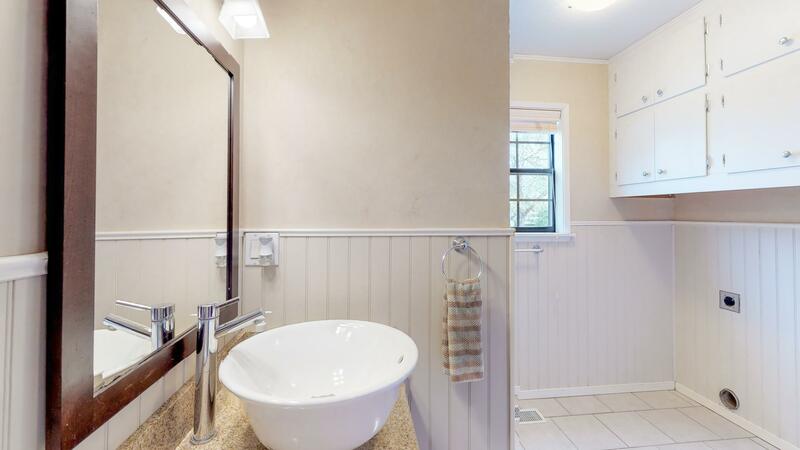 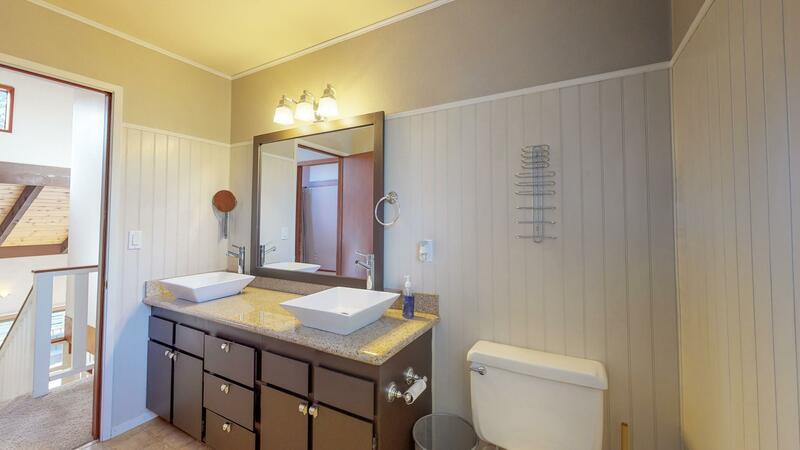 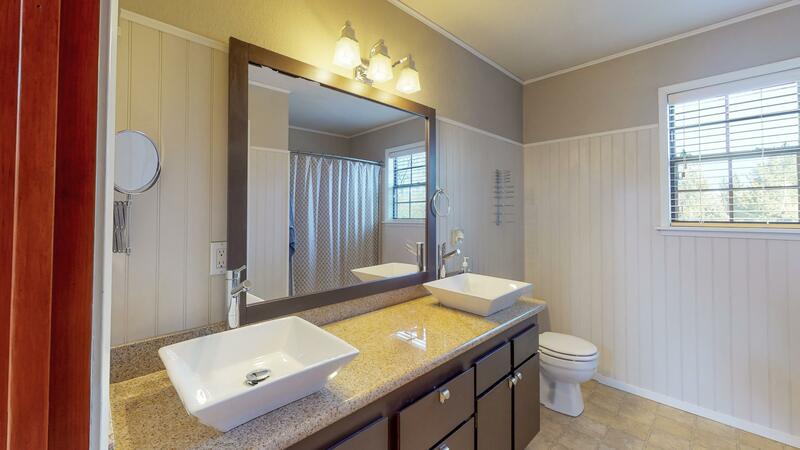 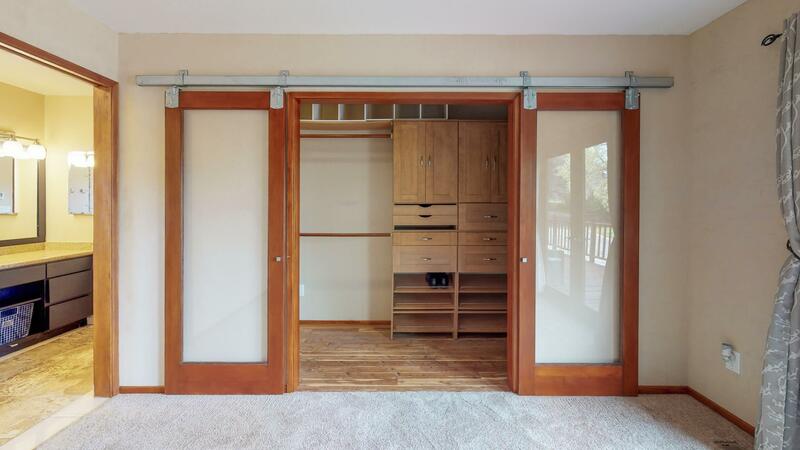 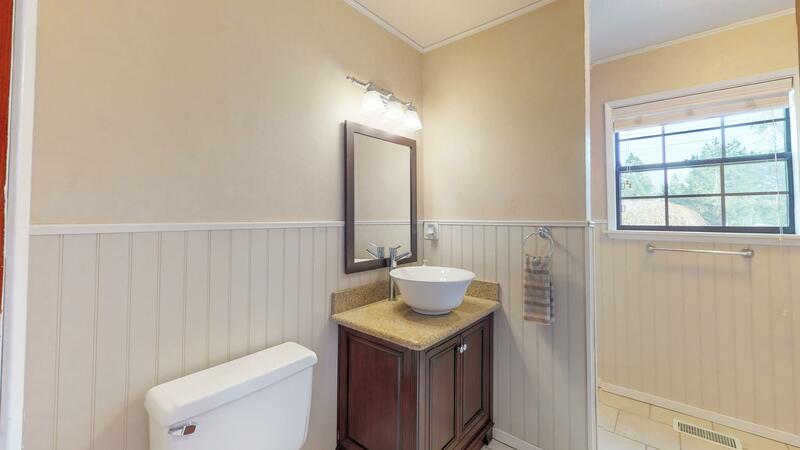 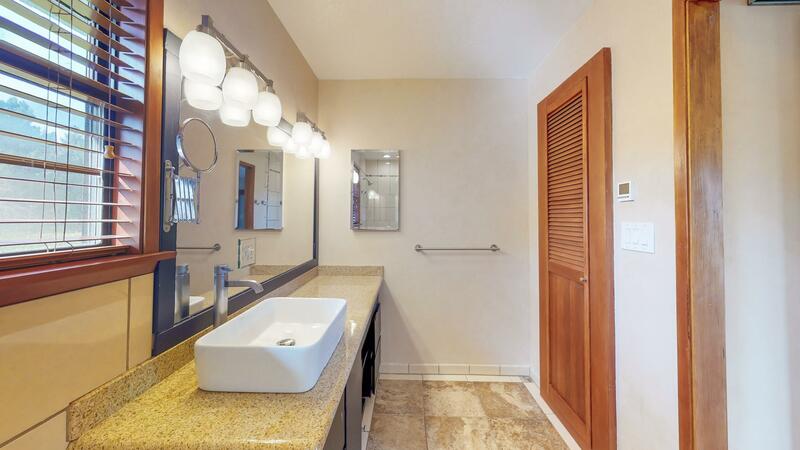 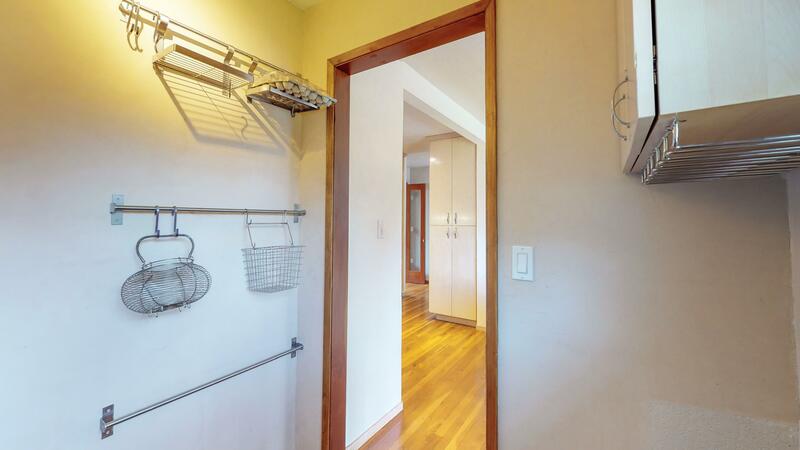 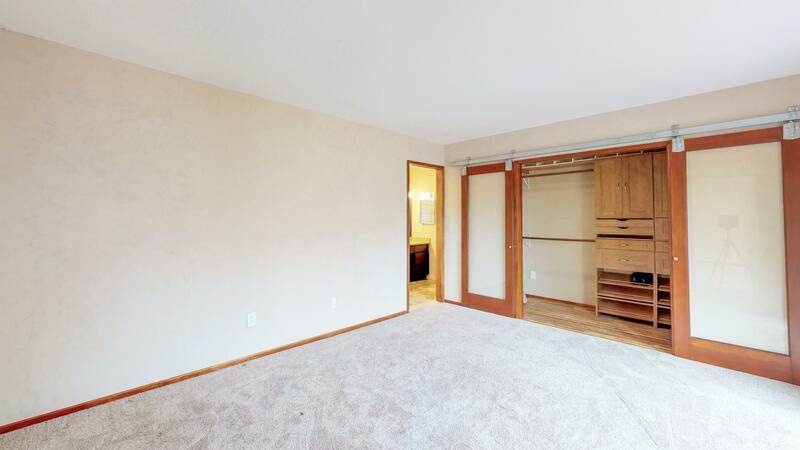 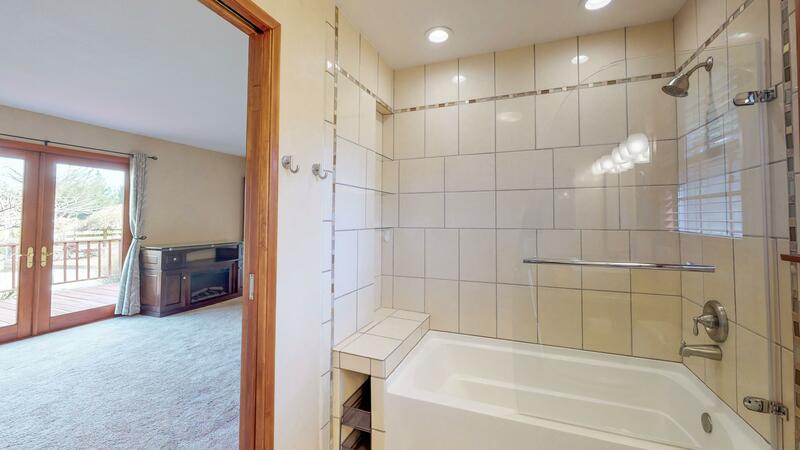 Walk in closet, and heated floors in the master bath. 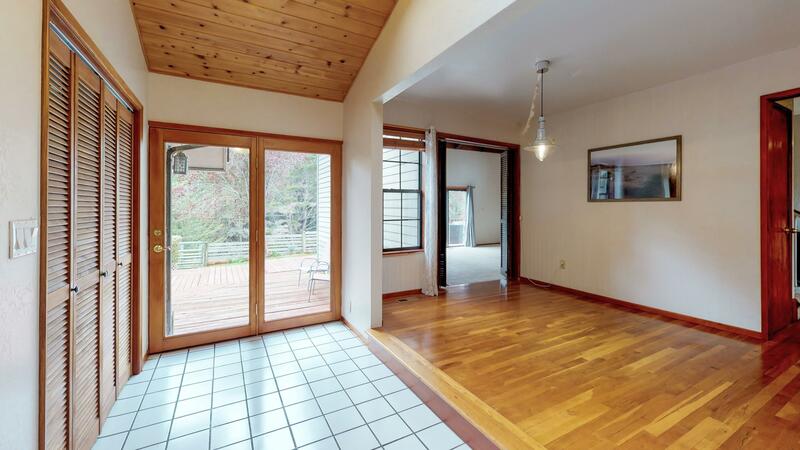 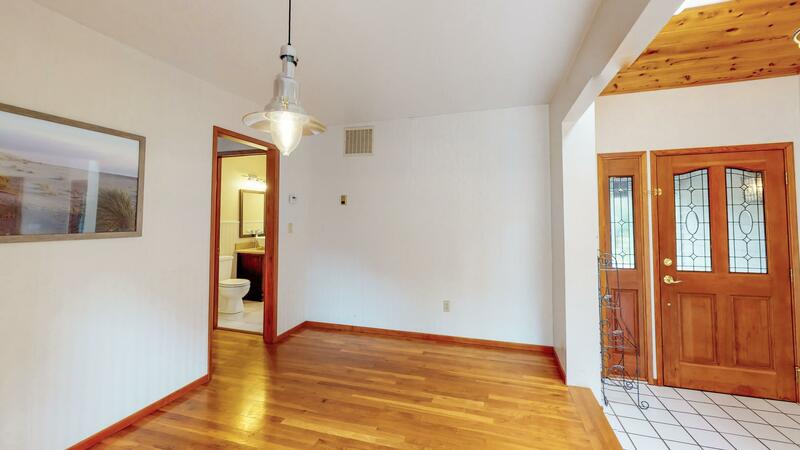 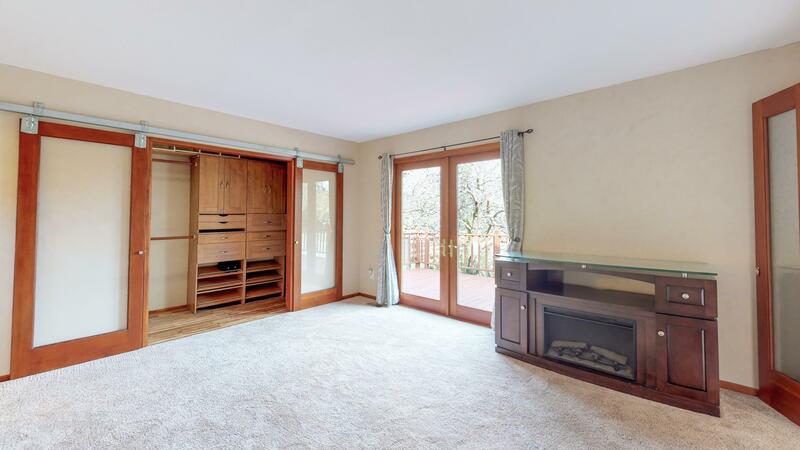 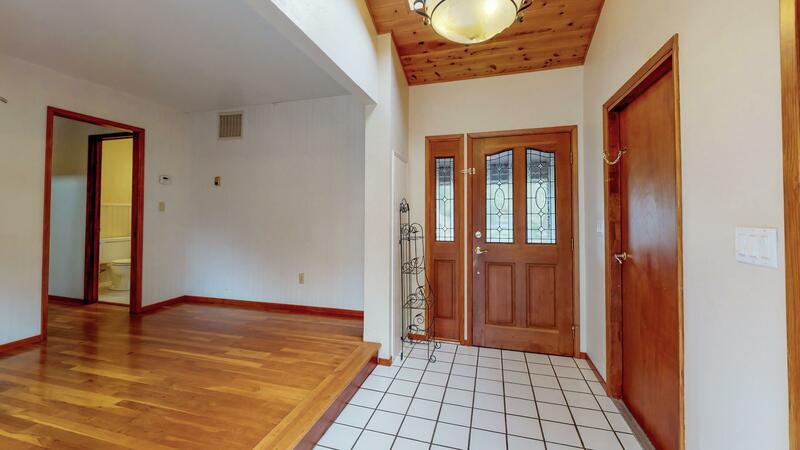 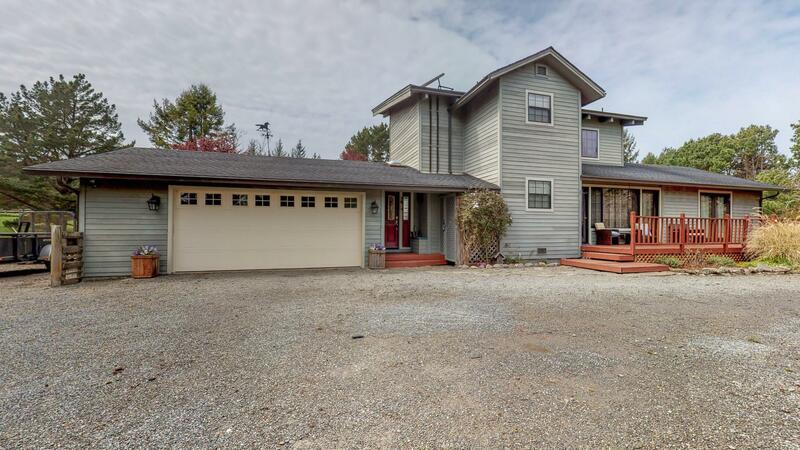 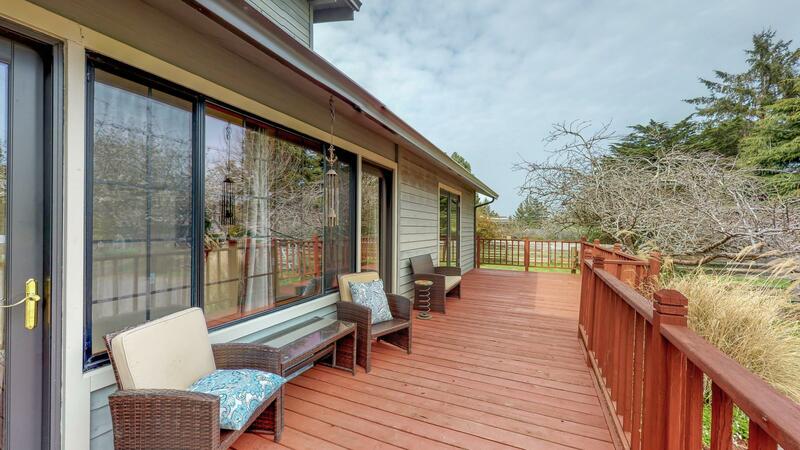 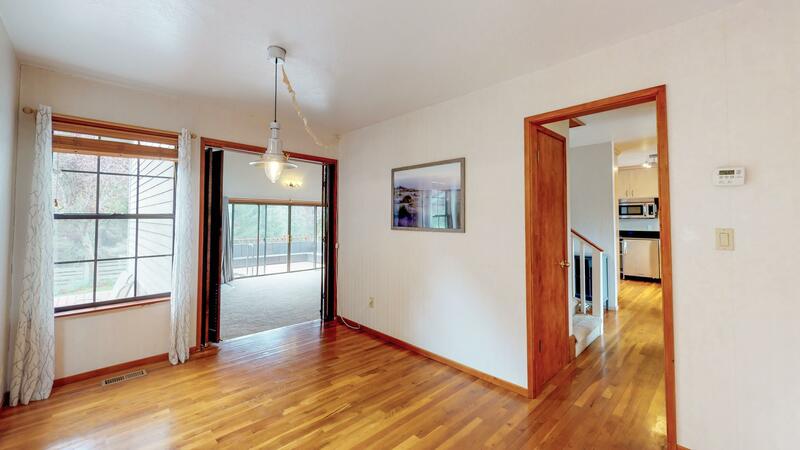 This home has lots of natural light, with sun room, and slider to the back deck. 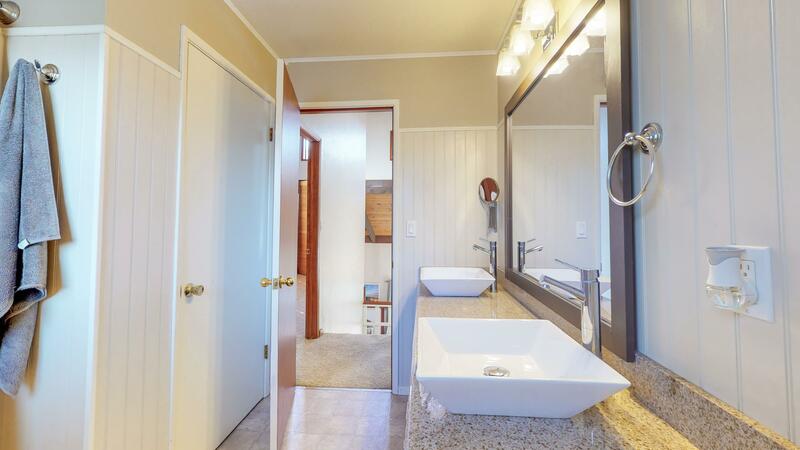 Good sized garage and RV parking too! 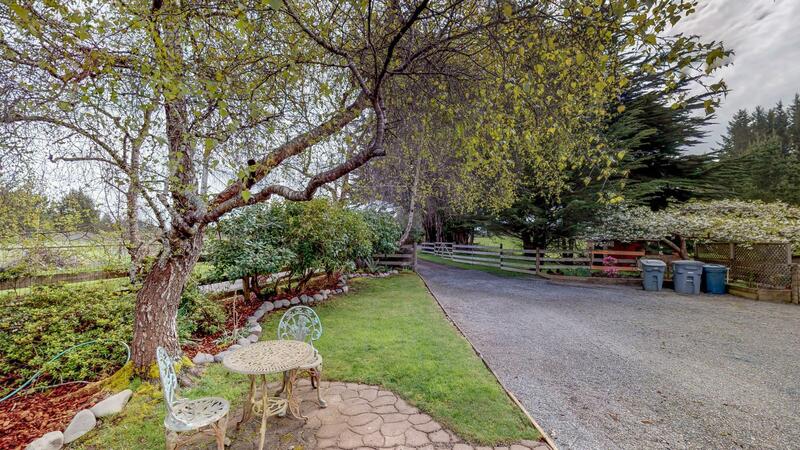 This home is truly a special one! 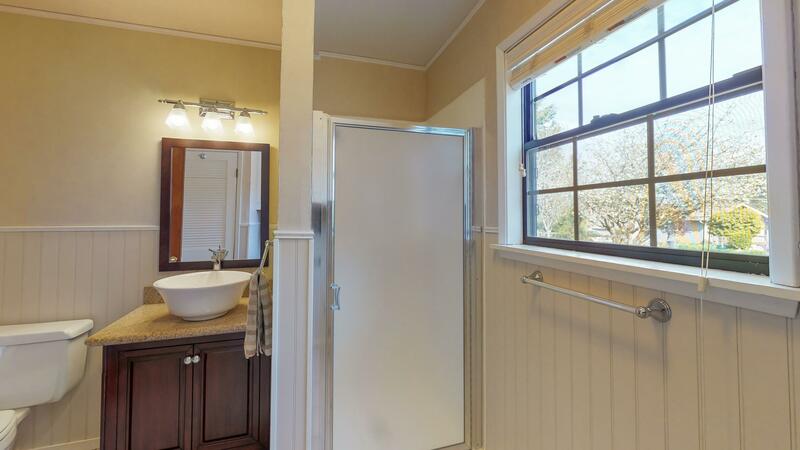 Annual Rainfall 43 in. 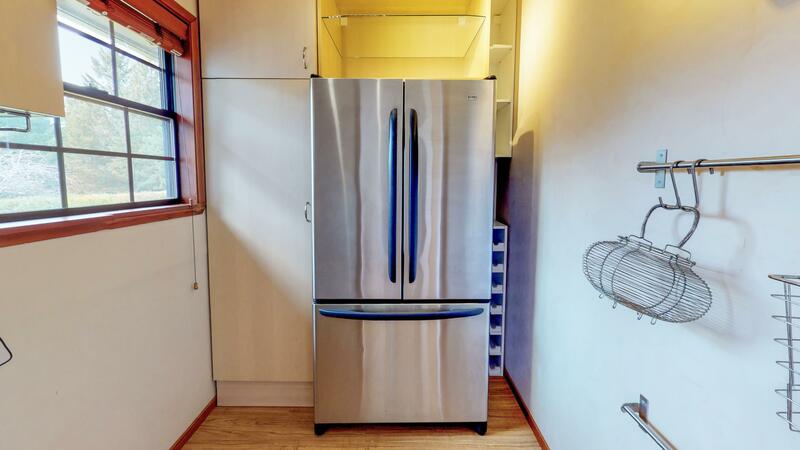 46 in.